Yes, it's official. Glasgow has shrunk. 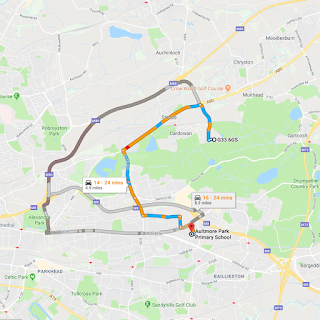 As of 1 April 2019 Glasgow is just a little bit smaller, though you might not have noticed. 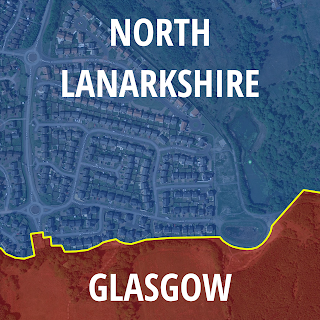 About 350 people have left Glasgow and moved to North Lanarkshire, without actually moving at all. How did this come about? Well, I thought I'd turn what is sometimes viewed as a rather boring, technocratic process into a long blog post because I think it's a) interesting; b) a good example of how the lines we draw on maps can actually impact real lives; and c) evidence that people really do care about local government (or at least they do when it's not local enough). And by the way, this is not an April Fool's joke. It just so happens that these kinds of boundary reforms often come into force on 1 April. But, anyway, let's start with a gif and a couple of maps. What's going on here then? You can read a lot more about it on the Local Government Boundary Commission for Scotland (LGBCS) pages or you can also find more on the Scottish Government pages. Or, just keep reading this instead. By the way, the LGBCS is an advisory Non-Departmental Public Body, just in case you were asking. Here's the short version. 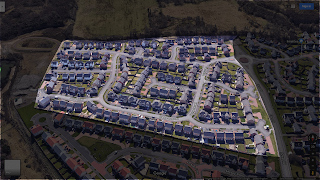 New houses were built on the North Lanarkshire-Glasgow border. About 150 addresses and 350 people in this new neighbourhood ended up being residents of the Glasgow City Council area rather than North Lanarkshire. Lots of people felt this wasn't ideal so they asked whether the boundary could be re-drawn, and now it has been. It had been done before, nearby. Glasgow City Council did not approve of the change. North Lanarkshire did not object, but they did have some serious concerns. The Education Service in North Lanarkshire did not think the changes were feasible, mainly on account of the estimate that it would require school places for 36 additional children. There was a full consultation, including a poster showing the proposed changes on a map. You can read everything about the boundary review here. But the longer version is actually pretty interesting in that it tells us quite a bit about how government works and how common sense can sometimes prevail. Not something we are perhaps accustomed to at the moment. 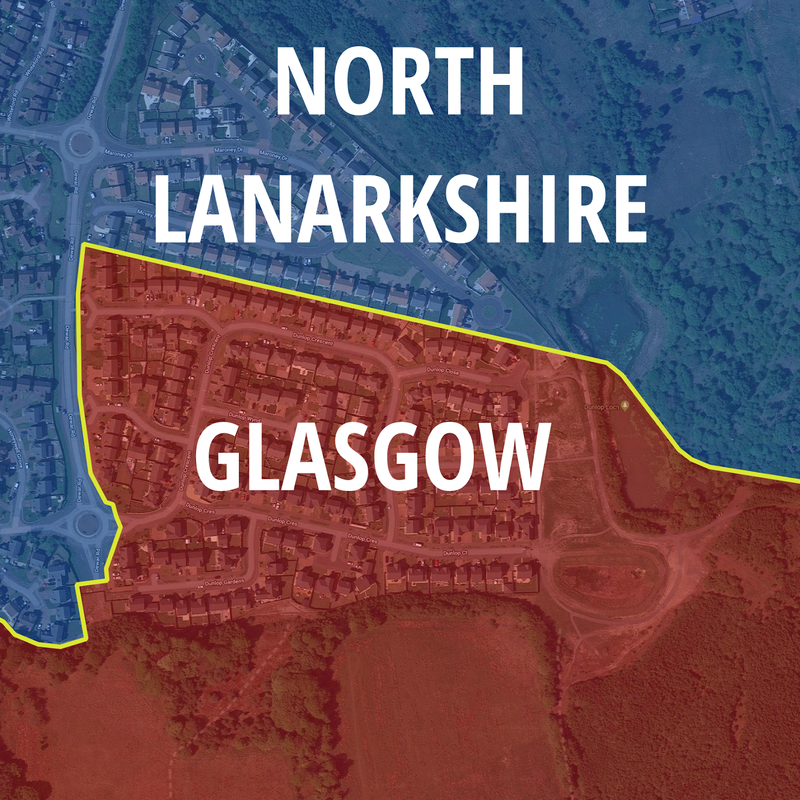 "Scottish Ministers agreed to adopt the Commission’s recommendations, to amend the boundary between Glasgow City council area and North Lanarkshire council area at Cardowan. Order SSI 2018/308 was laid in the Scottish Parliament on 25 October 2018 and will come into force on 1 April 2019." Previously, there had been a boundary review in this area in 2008. These changes, which also resulted in Glasgow losing some population and area to North Lanarkshire, came into effect on 1 April 2010. You can see how it looks from the extracts from the final report I have posted below. 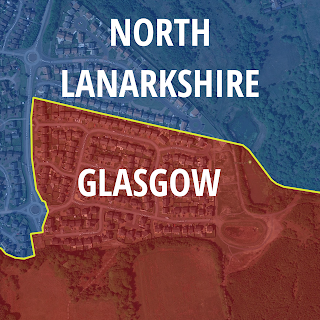 Is North Lanarkshire eating Glasgow? So, putting it into a little bit of historical context, we can see that this has happened before. Then, in 2016, after requests from local residents, the Local Government Boundary Commission for Scotland looked at this new case. The Commission consulted with the Councils from 15 November 2016 until January 2017 and then there was a 12 week public consultation on the proposals from 15 June until 6 September 2017 (there were 187 responses). The Commission submitted their report to Scottish Government Ministers on 20 April 2018. It is Scottish Government Ministers who decide whether or not such recommendations are implemented, as they have been in this case. The Report to Scottish Ministers provides a good summary of the case, including the main reasons cited by residents for wanting the boundary changed (the vast majority were in favour of the change). Okay, here's the gif at the top again as a reminder of the affected area (but slower this time). 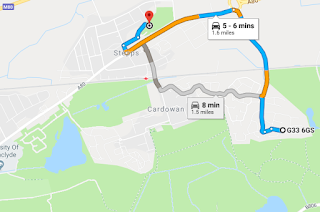 As you can see from all the images, this little bit of Cardowan was effectively a Glasgow City Council exclave, in the sense that it was cut off from the rest of Glasgow by road, with no direct access to the south and the rest of the city. One very important implication of this is travel to school, and this was raised by David Linden MP in his letter to the Commission. 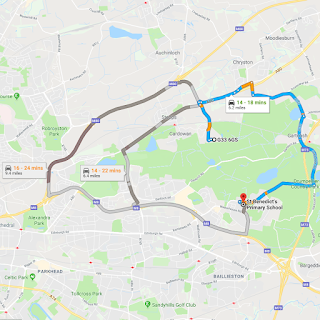 In his letter he explained that he had 'taken the liberty of calculating an estimated driving distance' from one of the affected postcodes to some local schools. 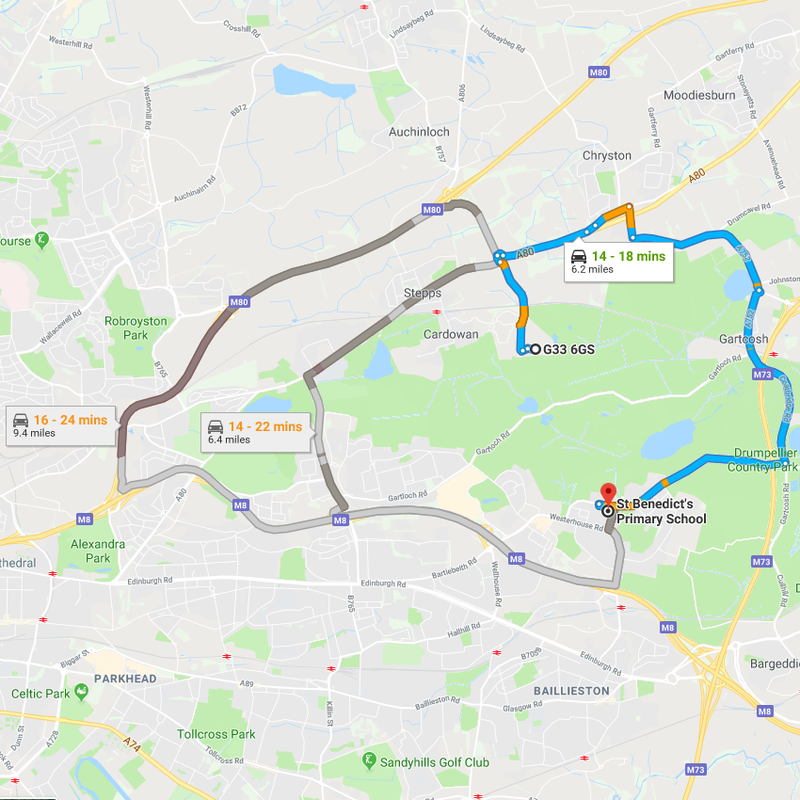 You can see in the images below how the closest primary schools in Glasgow compare to one of the closest ones in North Lanarkshire. David Linden MP also noted that there was also a "high level of dissatisfaction with maintenance of roads and pavements in the area" and that neighbours in North Lanarkshire did not suffer such issues. "Please grant this boundary change and allow us to be part of OUR community!" "I'm sure many will agree that the boundary line does not make sense"
"Our children have to bypass 3 local primary schools to go to a Glasgow school, Children that are lucky enough to get placement request for local secondary schools are ineligible for the bus which is provided." 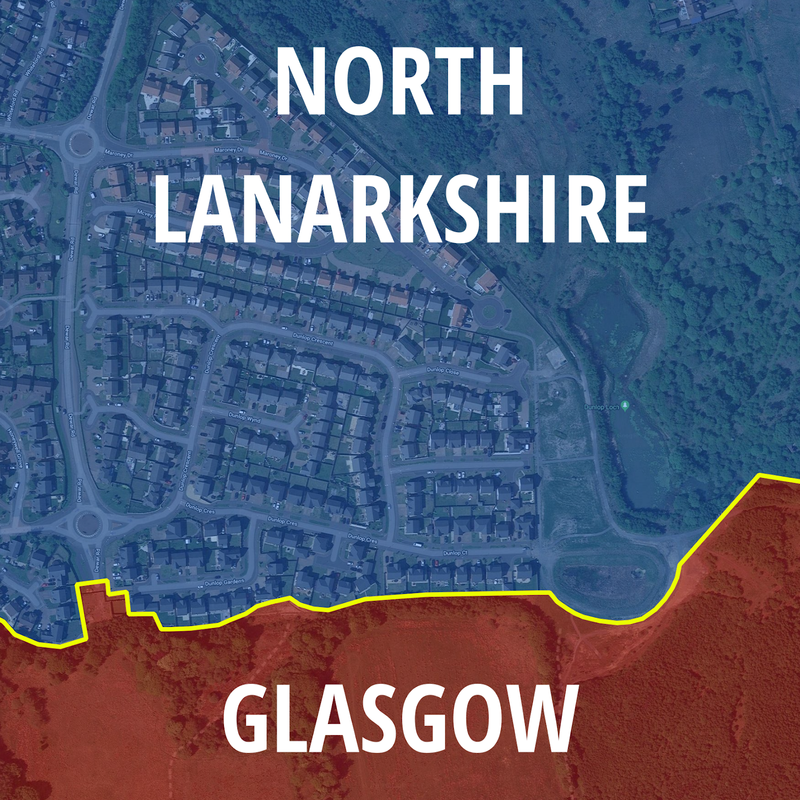 "We are an island surrounded by north Lanarkshire, for this reason alone the boundaries need to change as it did for a neighbouring estate." But of course it is inevitable that not everyone agrees with the move. This respondent wanted to remain in Glasgow and made the following comment. Very much the exception though. "I do not appreciate being forced to move to another LA area because others in the area had not done their homework properly before purchasing a home and expect others to change to suit them. 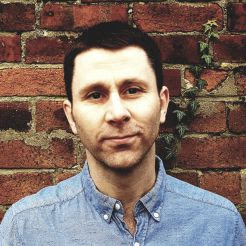 If you dont want to live under the Glasgow LA dont buy a house in the area." There were other people who disagreed but I couldn't find anyone else actually in the area who was opposed to the move. The main opposition (small as it was in percentage terms) seemed to come from existing residents nearby who were worried about local school capacity (an understandable concern). Regardless of people's views, it's always interesting when looking at these kinds of issues from the perspective of local views. It makes you feel like people care, local democracy works and common sense can prevail. If only the same was true of national politics at the moment, eh? Perhaps it is because I have been looking for proper distractions from Brexit or maybe it's because I just like this kind of thing but I also had a good read through the responses submitted by email, which if I am correct are, with one exception, all in favour of the proposal. I thought this one in particular was very powerful. I also particularly like the response that had "LOGIC & COMMON SENSE" as the first reason. Several responses mentioned the issue of deprivation and of course there are real disparities between this area (Decile 9 on the SIMD, meaning it is is amongst the very least deprived in Scotland) and the area where the nearest Glasgow primary schools are (Decile 1 on the SIMD, among the most deprived in Scotland). Also, it was nice to see that the proposals were accepted by Stepps & District Community Council. To end this story, here are a couple of still images that I used to create the gif above, showing the old and new boundaries. Notes: I've estimated a population of 350 for this area. A figure of 292 electors is cited in one of the Cardowan Reports, and elsewhere a figure of 36 school-age children is mentioned. There are about 150 addresses in the area and with an average household size of 2.3 for the country as a whole it seems reasonable to assume a total population of about 350. Council Tax is lower in North Lanarkshire. 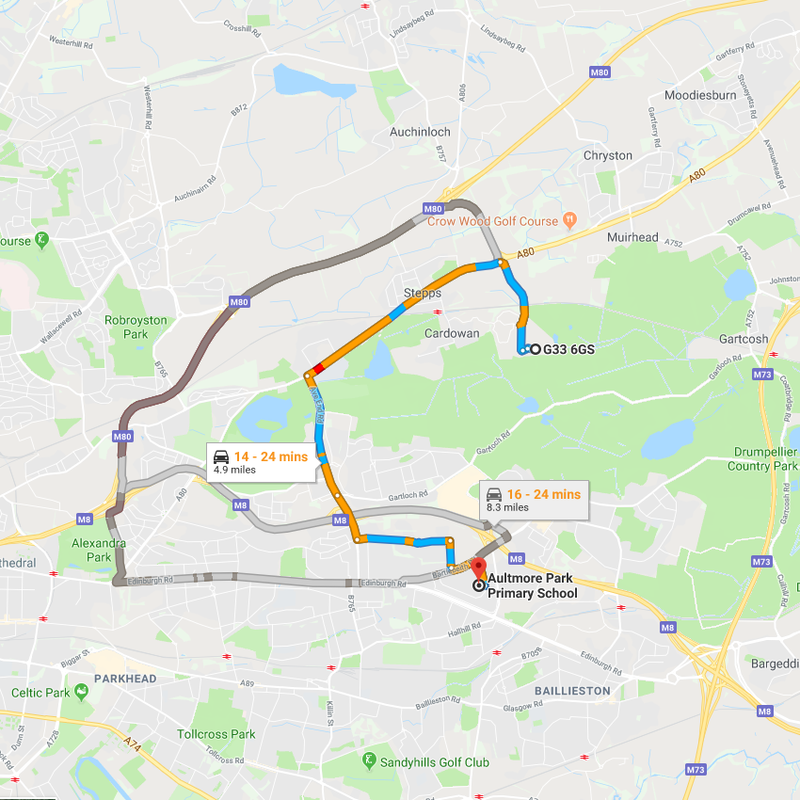 A Band F property in North Lanarkshire in 2019/20 is billed at £1892.91, whereas in Glasgow it is £2794.81 (almost £902 more per year). 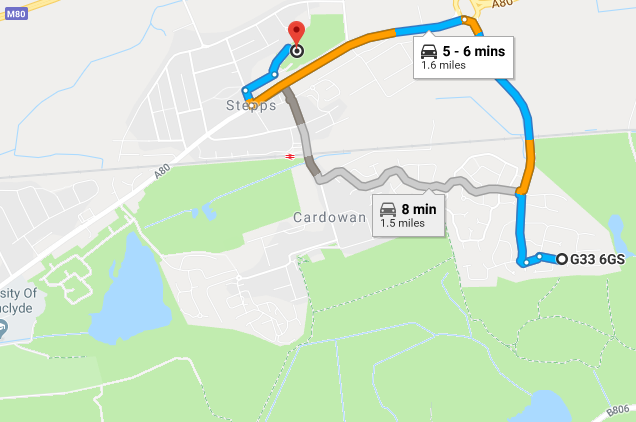 The area is referred to as 'Cardowan' and 'Cardowan, Stepps' in various documents but also as 'the Dunlop Estate' by some residents and locals. Why do I care about any of this? Well, it's sort of related to what I am writing about at the moment in my day job. Plus I thought others might be interested. I'm not planning a blog post on the new English council that came into existence on 1 April 2019, but check it out if this post hasn't satisfied your thirst for local government wonkery.